Home/Healthy Homes/20 Deadly Products Containing Asbestos: Are They Hiding in Your Home? By Brian Turner | Once considered a “miracle mineral”, the properties of asbestos that made it so desirable for use in construction and products are the same properties that turned it into a curse for many families. 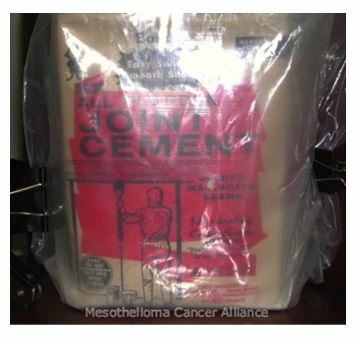 Asbestos exposure is the known cause of mesothelioma and other rare and deadly asbestos-related diseases. Despite being considered a rare cancer, the places where asbestos exposure can happen are surprisingly common and still exist. When putting up walls, siding, or roofing in commercial and residential buildings, asbestos can be found in all of those areas. 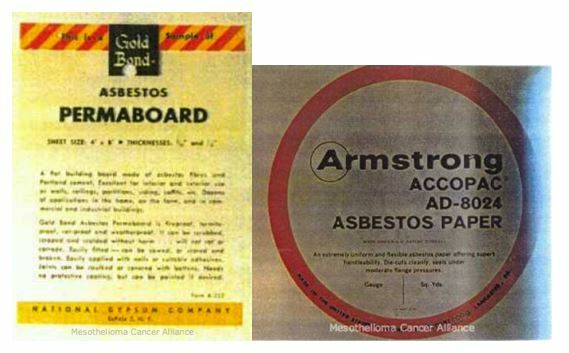 Between asbestos paper used for backing and drywall to permaboard, like National Gypsum Gold Bond Asbestos Permaboard pictured to the left, these dangerous fibers could be found in almost every corner of a home. If venturing on some DIY projects on your home, like replacing drywall or a roof (especially on an older home), consider having your home tested by a professional asbestos abatement company. Used in flooring and ceilings, tiles made from mineral fibers were known to contain asbestos. 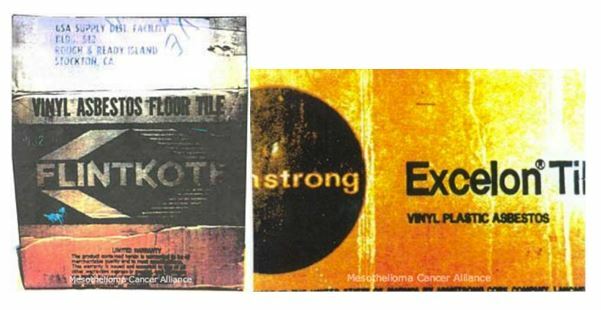 Those who installed asbestos-based tiles, like the Flintkote tiles pictured to the right that were produced between 1945 and 1980, were at the greatest risk of asbestos exposure. For stone tiles that aren’t manufactured, some of the compound used to place tiles could have contained asbestos, so do your research about the age of your home and the possible presence of asbestos before replacing any tiles. 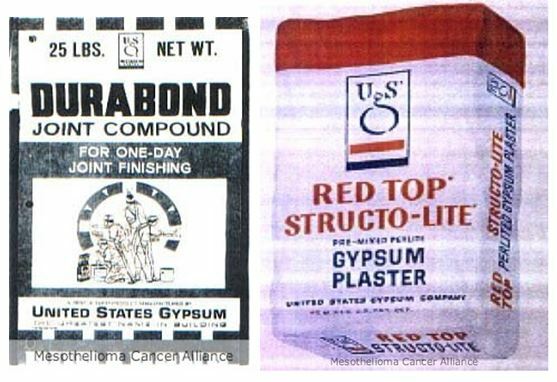 USG Durabond Joint Compound & USG Red Top Gypsum Plaster, manufactured with asbestos from the late 1920s to early 1950s. When putting up drywall in a room, joint compound is the product used to create a seamless finish between the boards. Commonly called “mud,” products like USG Durabond joint pictured to the left is applied in thin coats, sometimes multiple coats, and sanded for a smooth finish. Having asbestos within the compound would make it stronger and longer lasting. Plaster, filler and other putties had the same properties as well. During the building process, workers would be exposed during the mixing of the product if it came in dry form and while sanding it smooth. Today, exposure can happen when tearing down old drywall that was installed during the height of asbestos products usage. Insulating cement was a versatile construction material used extensively in building projects. 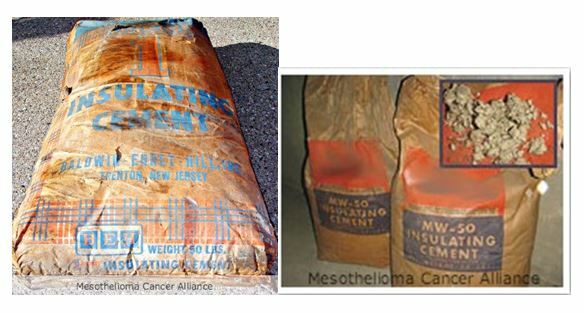 Insulating cement, like the Philip Carey MW-50 Cement pictured left, was filled with large amounts of asbestos to be used in places where heat was to be high and constant, like power plants and oil refineries for example, because asbestos is well known for it’s fire resistant property. For pipes transferring liquids or gasses with extremely hot or cold temperatures, insulating the pipes to keep them in peak condition was necessary. 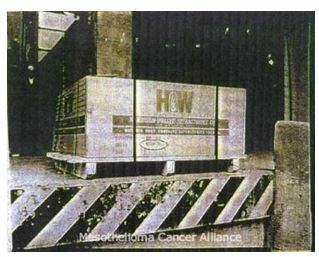 Asbestos was added to pipe insulation for just that purpose. Along the same lines, pipes were fitted together with gaskets also needing to be able to withstand the same conditions. Gaskets used for pipe fitting, and in many other areas where gaskets were needed, asbestos could be found within their makeup. When these materials become old and brittle is when they pose a danger to anyone who comes in contact with them. USG Perf-A-Tape Cement. 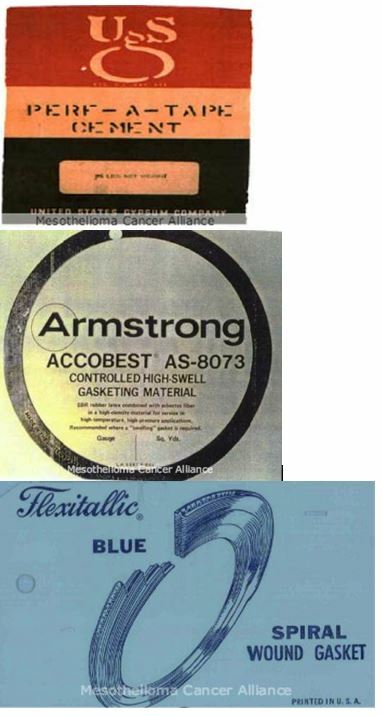 Armstrong Accobest Gasketing Material, manufactured with asbestos in the mid-1960s. Flexitallic Blue Spiral Wound Gaskets, known for their distinct “Flexitallic Blue” color and made from 1912-1980. Pittsburgh Corning Unibestos Insulation, manufactured with asbestos from 1962-1972. Garlock Compressed Asbestos Gasket sheet. 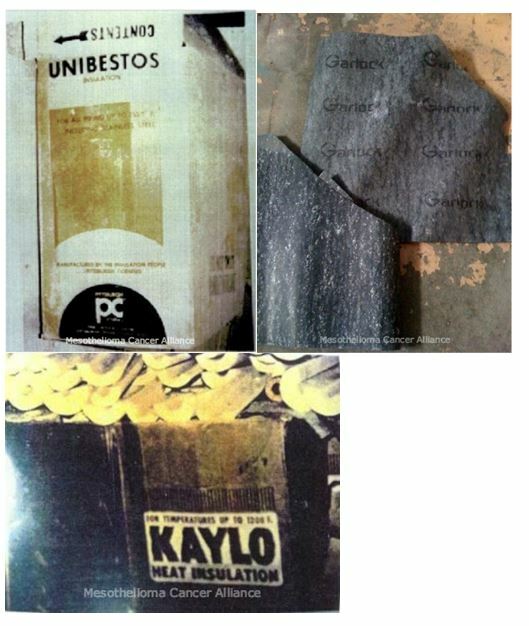 Owens-Corning Kaylo Pipe Insulation, manufactured with asbestos from mid-1950s to the mid-1970s. Babcock & Wilcox Company Stirling Boiler, manufactured with asbestos beginning in the 1940s and were used extensively aboard the ships of the US Navy and in numerous industrial plants. Babcock & Wilcox Gauges were used in refineries, power plants and numerous manufacturing facilities. In the 1920’s, companies like Babcock & Wilcox began producing best-in-class boilers with more efficient heating and safety properties. Asbestos, being well known for its heat and fire resistance, became a major product used in the construction of boilers and similar products to make it safer to have in homes. Firebricks were also another product within boilers and other places like chimneys that contained a lot of asbestos material to withstand the intense heat temperatures that they are exposed to. Harbison-Walker Nucon 60 Firebricks, manufactured with asbestos from 1964 to 1980. One main part of vehicles that is exposed to extreme heat is the brakes of a vehicle. Because of the extreme friction needed to stop a vehicle and temperatures rising to over 2000 degrees Fahrenheit during the process, asbestos became a valuable product to be used in brake pads, shoes and linings. Auto mechanics were at the greatest risk for exposure because they dealt with brake repairs most frequently, but car enthusiasts from the peak of asbestos use and even car collectors today still face the risk of asbestos exposure. Have you found these products in your home or garage? If you’re uncertain about asbestos being in your home, it is safest to contact a professional asbestos abatement company to perform tests on your home and create a plan for safe removal instead of risking your health and the health of your loved ones. Join our community to learn more about the dangers of asbestos and spread awareness to your loved ones. 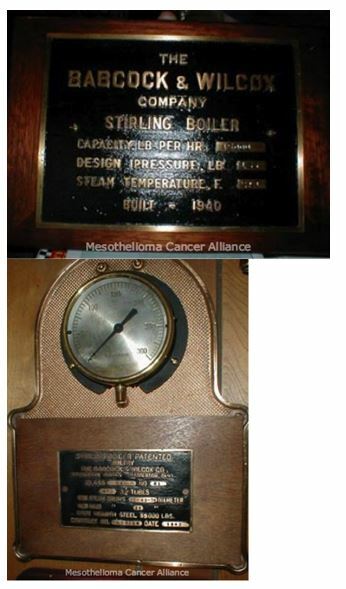 Click here to see the original article from The Mesothelioma Cancer Alliance Blog.